During the Vietnam War, the battles between American and Vietcong forces had the collateral effect of destroying the homes and livelihoods of hundreds of thousands of Vietnamese civilians. To help alleviate the suffering of these innocent victims, the United States initiated a massive program of foreign aid and refugee relief. The program was administered through the Vietnam Desk of the U.S. Agency for International Development (AID) in the State Department. My father, Johannes U. Hoeber, was appointed to head that effort in 1967 and continued in that position until 1972. It was the last job he held in his life and, despite the difficulties, the most rewarding. During the time he was heading the refugee program in Vietnam, Johannes met frequently with members of Congress on matters of funding and policy. 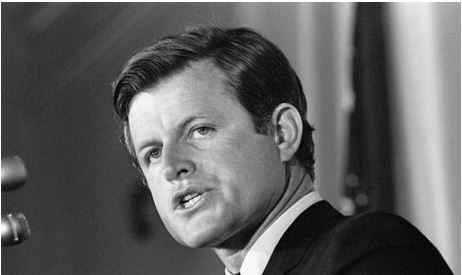 He developed a close relationship with Senator Edward M. “Ted” Kennedy, a senior member of the Senate Foreign Relations Committee. 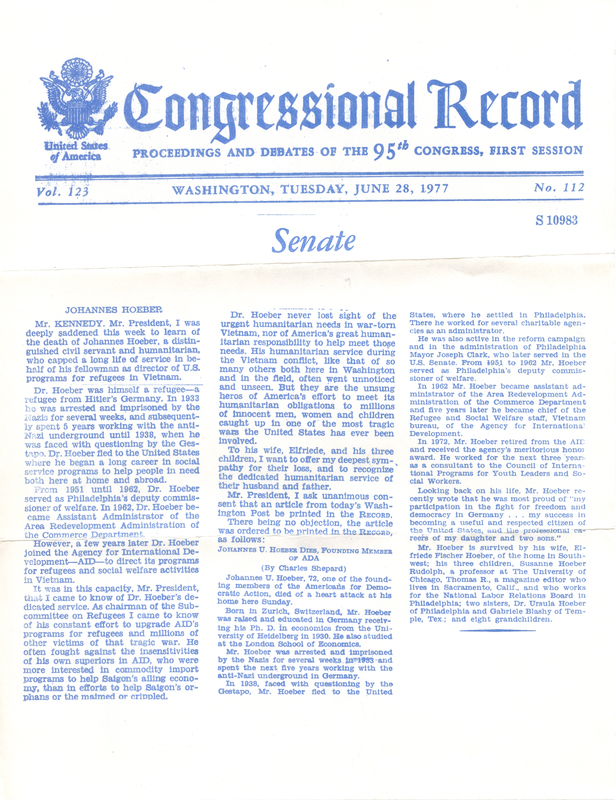 Sen. Kennedy was an increasingly forceful opponent of the American war policy, and Johannes was able to provide him with off-the-record information that Kennedy used in the debates over bringing the war to a conclusion. Mr. President, I was deeply saddened this week to learn of the death of Johannes Hoeber, a distinguished civil servant and humanitarian, who capped a long life of service in behalf of his fellow man as director of U.S. programs for refugees in Vietnam. Dr. Hoeber was himself a refugee—a refugee from Hitler’s Germany. In 1933 he was arrested and imprisoned by the Nazis for several weeks, and subsequently spent 5 years working with the anti-Nazi underground until 1938, when he was faced with questioning by the Gestapo. Dr. Hoeber fled to the United States where he began a long career in social service programs to help people in need both here at home and abroad. 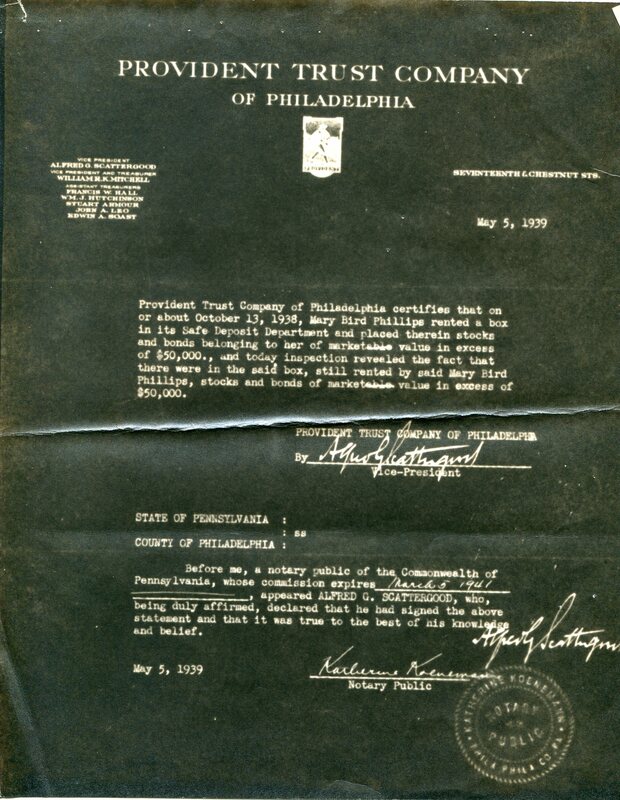 From 1951 until 1962, Dr. Hoeber served as Philadelphia’s deputy commissioner of welfare. In 1962, Dr. Hoeber became Assistant Administrator of the Area Redevelopment Administration of the Commerce Department. 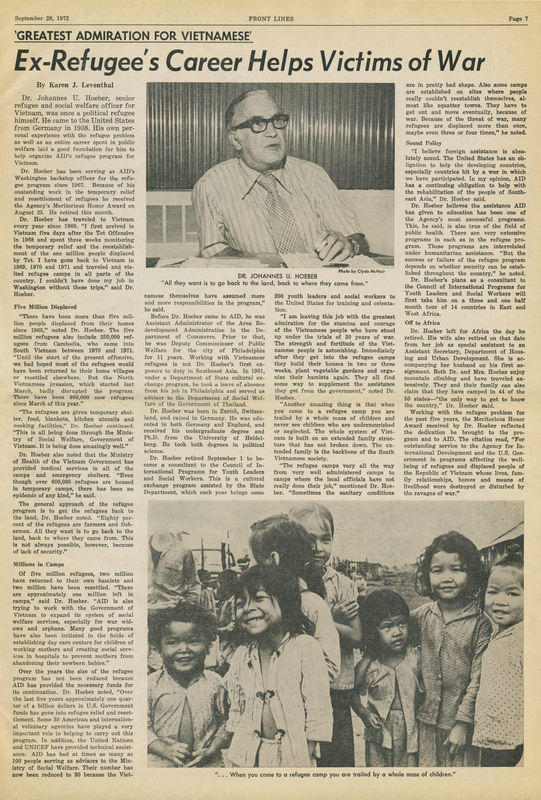 However, a few years later Dr. Hoeber joined the Agency for International Development – AID – to direct its programs for refugees and social welfare activities in Vietnam. It was in this capacity, Mr. President, that I came to know of Dr. Hoeber’s dedicated service. As chairman of the Subcommittee on Refugees I came to know of his constant effort to upgrade AID’s programs for refugees and millions of other victims of that tragic war. He often fought against the insensitivities of his own superiors in AID, who were more interested in commodity import programs to help Saigon’s ailing economy than in efforts to help Saigon’s orphans or the maimed or the crippled. Dr. Hoeber never lost sight of the urgent humanitarian needs in war-torn Vietnam, nor of America’s great humanitarian responsibility to help meet those needs. His humanitarian service during the Vietnam conflict, like that of so many others both here in Washington and in the field, often went unnoticed and unseen. But they are the unsung heroes of America’s effort to meet its humanitarian obligations to millions of innocent men, women and children caught up in one of the most tragic wars the United States has ever been involved in. To his wife, Elfriede, and his three children, I want to offer my deepest sympathy for their loss, and to recognize the dedicated humanitarian service of their husband and father. In the spring of 1939, the American Consul in Stuttgart turned down my mother’s application for an Immigration Visa. At that moment, hundreds of thousands of Germans were trying to escape the Nazi terror and the war that everyone knew was coming. In one of the shameful episodes in America’s history, our immigration policy — held captive by southern congressman, xenophobes and antisemites — excluded all but a trickle of the terrified refugees. In just one year, 325,000 Germans asked for asylum in America, but a statutory quota allowed fewer than 28,000 to immigrate. In addition, any applicant was excluded if he or she might become a “charge on the government,” that is, if the applicants might not be able to support themselves here. In the 1930s, when unemployment was at a high point, that meant that most applicants from abroad had to have a sponsor who could support them. My mother, Elfriede Höber, and my father, Johannes Höber, were counting on Johannes’ father Rudolf to support Elfriede and my sister, Susanne, then nine. Rudolf had fled Germany five years earlier, in 1933, and was a visiting professor at the University of Pennsylvania School of Medicine. 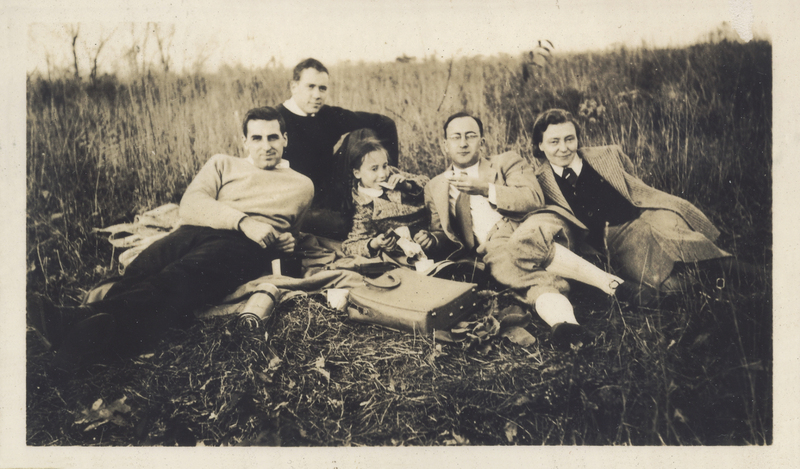 His stipend from Penn was small, however, and by 1939 he was already supporting six relatives who were unemployed refugees. Johannes had arrived in Philadelphia a couple of months earlier, so it was Elfriede who had to file the visa application with the U.S. Consul in Stuttgart. After weeks of delay, the Consul rejected her application because Rudolf’s income was insufficient to support her on top of the people he was already carrying. Johannes was crushed when he received Elfriede’s letter with the bad news. In the few weeks he had been in America, however, he had made a friend at the office where he worked. This friend, Walter Phillips, sensed right away that something serious had happened. He asked Johannes what was wrong. When Johannes explained, Walter too was distressed that his new friend’s wife and daughter were trapped and might be unable to escape from Germany. I am informed that Mrs. Elfriede Höber, a Ph.D. of Heidelberg University, and Susanne Höber, Düsseldorf (Germany), Pempelforterstr. 11, have applied at your consulate for permanent residence. Mrs. Elfriede Höber and her daughter wish to come to Philadelphia to join their husband and father and his family who were admitted to the United States for permanent residence some time ago. Dr. Johannes Höber, the husband, also a Ph.D. of Heidelberg, has been working for me for about three months as a research assistant. He has proved himself to be an extraordinarily bright, intellectually honest, public spirited and able person. I am so much interested in keeping him in Philadelphia that I am willing to give my personal guarantee that his wife, after being admitted to the United States, will never become a public charge. For my own identification you may be interested in the following facts: My family on all branches have lived in the United States since before the Revolutionary War. I am a graduate of Princeton University and also the Harvard Law School. … At present I am volunteering my time to the Philadelphia City Charter Committee in the interest of good local government. … As shown by a separate affidavit the financial responsibility of my wife and me together – we are giving a joint affidavit – should be sufficient to give the necessary guarantee required by law. 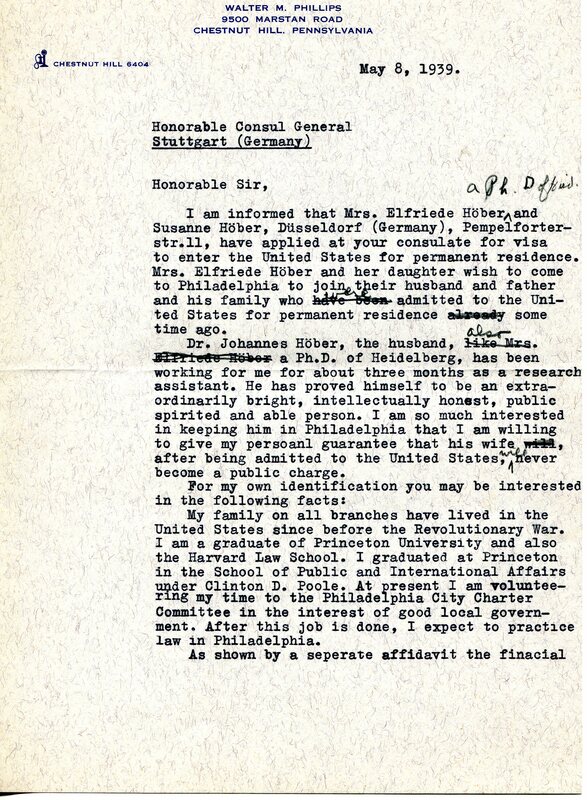 Draft of a letter from Walter Phillips to the American Consul in Stuttgart, Germany, urging that he grant immigration visas to Elfriede Höber and her daughter Susanne, May 8, 1939. This is a “photostat” of a letter from Walter and Mary Phillips’ bank establishing that they had the wherewithal to support Elfriede and Susanne. May 5, 1939. The impressive stack of documents did the trick. Although it took several more weeks, the Consul in Stuttgart accepted Walter and Mary’s assurances and granted the Elfriede and Susanne visas on July 12, 1939. Without Walter and Mary’s selfless generosity, my mother and sister would never have gotten out of Germany and I would probably not be alive today. When I was born three years later my parents gave me “Walter” as a middle name. It is a name I carry with great pride and gratitude.